The American Planning Association provides leadership in the development of vital communities by advocating excellence in planning, promoting education and citizen empowerment, and providing our members with the tools and support necessary to meet the challenges of growth and change. Two office locations: Chicago and Washington, D.C. Learn about APA, its members, and the latest planning-related news. APA's Annual Report highlights the year's progress and accomplishments in advocacy, research, education, and volunteer service. Members elect the APA Board of Directors and the AICP Commission. The Board delegates day-to-day operations to its staff in Washington, D.C., and Chicago. We measure our success by the successes of our members and the communities they serve. Question? Problem? Concern? Find the right person to contact at APA. Our Privacy Statement describes how your personal information may be used by the Association. 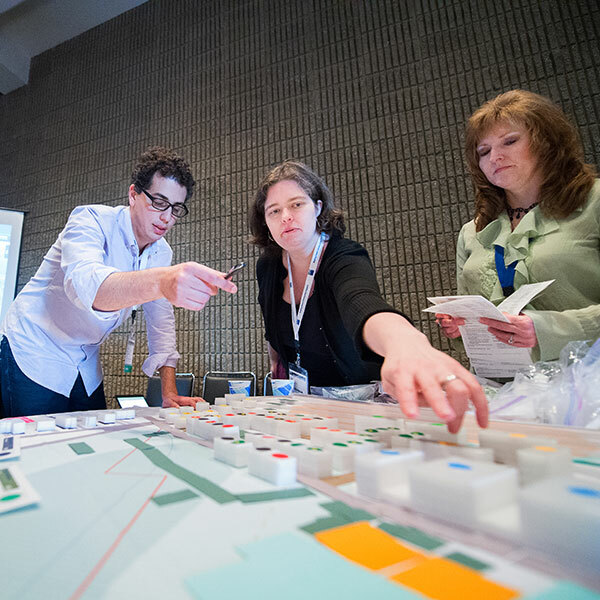 APA is home to the world's largest number of organizations and individuals interested in planning and those qualified to make planning-related purchases.